With averaging over 100 books a year I read a few amazing books, a few great books, a lot of good book and many that I give up on and never finish. Both this book and its companion volume The Porch and the Cross: Ancient Stoic Wisdom for Modern Christian Living by Dr. Kevin Vost are in the amazing category. Until now I have only read a book that Shane co-authored, Tending the Temple, some of his books have been on my to be read pile for a while and after reading this one they really jumped up that ever growing list. I literally read this through in two 3 sessions and know that I will reread it again soon. Each chapter is broken down into a number of sections or teaching points, with between 3 and 8 sections per chapter. As someone who spent 20 years as an undergrad, I greatly appreciate the scholarship in this book but also its brevity. Shane writes in a succinct manner with a tight economy of words. 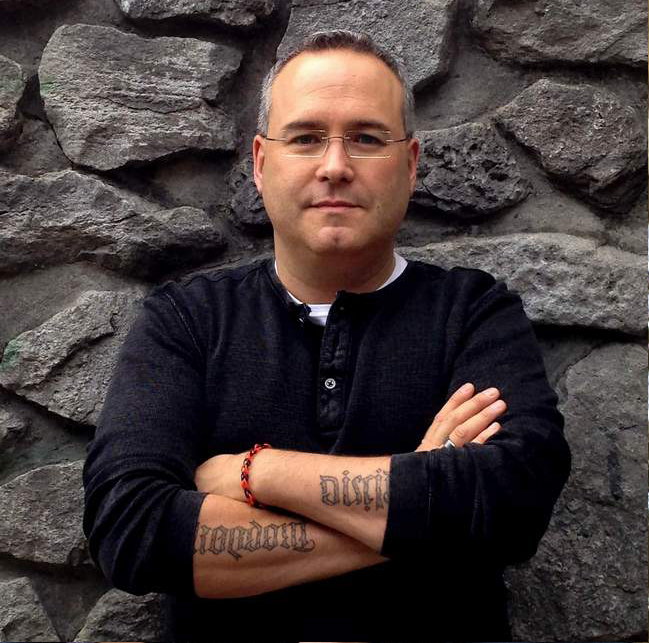 I wish had had encountered more books like Shane's during my religious studies degree. Not only was it intellectually stimulating but was engaging and addictive to read. As a seasoned Catholic I greatly enjoyed the book, especially the chapter on the Communion of the Saints. I have always had a great appreciation for the Eucharist, and it was pivotal in drawing me back to the Catholic Church. Shane's chapter puts into words some of what I could only feel in my heart and spirit and not adequately describe. And why it is so pivotal to what it means to be Catholic. Before I had even finished this book I recommended it to a few friends who have also in reading it got as much out of it as I have. It is an excellent read and I can think of a single reason not to commend it to you. This book was an amazing read and to be honest as soon as I finished it I put it back on my 'to be read list' to read through it again. 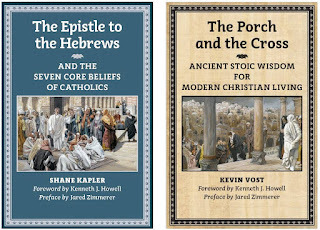 There is also a companion volume by Kevin Vost The Porch and the Cross: Ancient Stoic Wisdom for Modern Christian Living. Separately they are each a great read but together they are awesome. And they really should be read together for the magnifying effect the teachings of each has upon the other. So give this book a chance it will have a direct impact upon your faith and practice. This book was a recommendation based on other books read and reviewed. I showed the cover to my youngest two and read them the summary and they were clamouring to read it. That enthusiasm stayed through this book and we are now part way through book two. 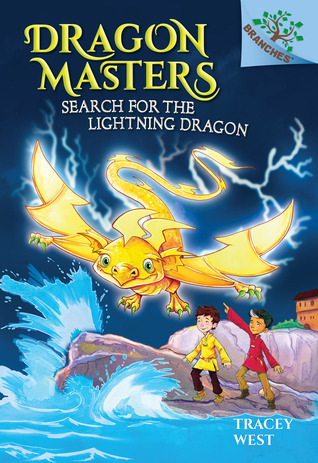 The book was so exciting to children they often did not want to stop and kept asking for one more chapter. Reading the eBook we pause and expand every picture and take a closer look at it. This is a short story about friendship, responsibility and adventure. 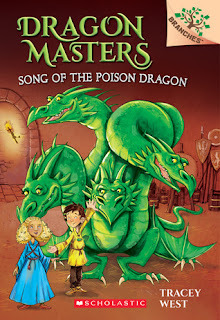 It is the story of Prince Lucas, and his desire to have friends, after sneaking out of the castle his father relents and allows him to play again with his only childhood friend his age, Clara the daughter of the queen's seamstress. The adventure is Lucas and Clara receive permission to hunt for the Queen's lost emerald. So together Clara and Lucas travel around the kingdom retracing the Queen's steps for the past few days, to try and find the stone. The two set out to retrace her he way through Primlox, Burth and Hobsgrove. As an adult reading the series it seems a lot of time is setting up things for other books. There are currently 9 books out in this series and a tenth on the way in under two years. As such this story is a little slower than the next in the series. The kingdom of Wrenly is composed of a mainland and four magical islands, Each island is predominately inhabited by one type of creature, Primlox for the fairies, Hobsgrove for wizards, Burth for the trolls and Crestwood for the dragons. Overall it was a good read. The kids loved it and love the illustrations and there are lots of them. We will continue on and see how the series progresses. With averaging over a hundred books a year I am often surprised by home some books fall into my hands. This book ended up in my hands by a chance encounter. And to be honest it is a quick and easy read, but also a very important one. The book is so important because it reminds us that the first role of a leader is self-leadership. Only through that primary role and responsibility will we develop the skills to lead others and to bring out the best in them. We will become true leaders by example. Times they are a changing and to be effective leadership must change also, in today's workplace things are constantly changing; mergers, acquisitions, turn over and the changing demographic of the workplace are demanding it. Much like the writings from Brady Wilson or even Seth Godin - Brandau and Ross capture that changing dynamic and provide sound guidance on how to become the 21st Century leader or as they put it; the leader people choose to follow … not have to follow. One of the first examples of this change they bring to our attention is the concept of a triple bottom line: "A triple bottom line means evaluating the company's performance in the public business world realized in profits, the private business world of their people, treating employees with respect and retaining their top people talent, and the social sphere of their community and how well they interact with the planet on environmental policies." It is no longer just about a good pay and benefits. Meaningful work has become much more than that. Then they go on to highlight the main point, leadership begins with self. They state: "The fundamental assumption of this course is that becoming a 21st century leader is an individual growth process where each person seeking the coveted title of "leader" is first required to lead themselves into new territory of deeper self-development and professional growth." And that is done through personal growth and development: "Knowing you only have one person to lead means you focus on your professional growth, emotional intelligence evolution, and your ability to live in integrity." That development can be with books like this, through courses, group training and even one on one mentoring. Through this book you can register online for some free assessments and tools to help you get started on this path. They offer this and if you are interested extended coaching: "The Leadership of One coaching gives you access to a variety of assessments, including identifying not only personality traits that people can observe, but hidden motivators that help explain why you make certain choices and why you value one behavior or activity over another." This book was an awesome little read. It helped remind me of why some of us go the extra mile consistently and do the bare minimum. It all comes down to effort, or we should say discretionary effort. Through developing ourselves and through developing other we can help foster an environment that gets those results. One of the quotes from the book that had the most impact on me was "Discretionary effort is optional. It is freewill, which is an intentional choice by the employee." Most of my career, both corporately and in non-for-profits that has been a strength of mine but I did not have words for it. This book provides a framework for the language and for bringing out true leadership in self and through that to your teams and maybe even your whole organization. This was an excellent little read and I look forward to reading Discretionary Effort Leadership once it is available. The book is done in three parts. The first is the Hail Mary Prayer done in script across the top of the pages, the second is the illustrations, and the third is the text at the bottom of the pages explaining that specific line in the prayer. This book has wonderful illustrations as seen from the example page spread below. It can be used to teach the Hail Mary Prayer but also to go deeper into the meaning of the words. It is a fun and engaging book. We have had two books by Sabrina Bus in our house for over a decade, since our oldest was very young. We have both this one and its companion volume the Our Father. They were a gift from a friend of the family. Even though they are simple board books , that have been read hundreds of times, they are still often read and are treasured by our three children. I even enjoy going back and reading them which after so many years and so many readings cannot be said about many books. I highly recommend this book and the author. Give it a try. 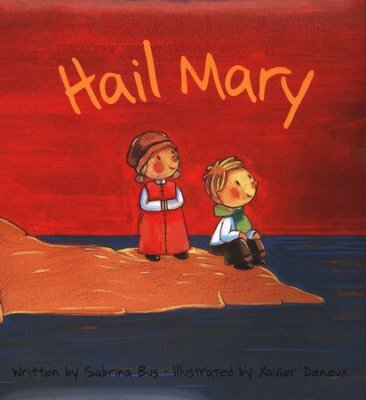 We have had two books by Sabrina Bus in our house for over a decade, since our oldest was very young. They were a gift from a friend of the family. Even though they are simple board books they are still often read and are treasured by our three children. I myself loved the books from the first reading and even today after hundreds of readings enjoy them. The book is sort of done in three parts. The first is the Our Father Prayer done in script across the top of the pages, the second is the illustrations, and the third is the text at the bottom of the pages explaining that specific line in the prayer. This book is a wonderful teaching tool. As mentioned the children love it. They know the prayer by heart but still read the book. Sometimes they read through the prayer, sometimes the book text and sometimes both together. The illustrations are wonderful as you can see by the example below. I highly recommend this book and its companion Hail Mary. It has been a few years since I have read a book by Father Jacques Philippe. It is my loss. Everything I have read by him has been excellent, even reading some different translations of his earlier books. I typically write two types of reviews, the first is short and sweet and just my own impressions, the second is to quote extensively from the source and give readers a great sampling to hook them. This is that second type. My first read through I highlighted over 25 passages and made notes. This book is an amazing resource for the year of mercy, or for anyone looking for growth in their spiritual life. This book is a compilation of three talks given in December of 2015. It also has two appendixes to go deeper on quotes from St. Faustina and St. Thérèse De Lisieux. From the introduction we are told: "Because of our freedom we must not only recognize God's mercy but accept it. Fr. Philippe focuses on acceptance (or trust), because we so often lack humility, self forgiveness, and self-abandonment to his love, the portals to the flow of God's endless mercy." And the rest of the book builds upon those themes. It goes on to say: "This book is a gift. We are invited by the Lord to explore the depths of his mercy through the wisdom and keen spiritual sense of Fr. Philippe. Let us all accept Jesus's look of merciful tenderness as he "opens us up to a path of life."" And that is our task in reading this book to experience God, experience his mercy and through that to learn to extend and grow in mercy towards ourselves and outwards to others. Now let us get into the main body of the text. And now to Father Philippe in his own words. "God in his mercy will forgive our sins and won't remember any of our faults. The greatest knowledge of God is the knowledge of his mercy." We need to learn to accept God's forgiveness, I once heard a talk where we were told the devil get's two victories, the first when we sin and the second when we do not accept God's forgiveness. Hopefully this book can be a tool to help your grow in knowing that mercy of God and experiencing it. That though also applies to our next quote: "We see in the Gospel that the mercy of God is the greatest mystery and the most beautiful treasure. However, we have a difficult time accepting it. It's not easy to welcome the mercy of God. We see it in the Gospel, and we see it in our daily lives. We have a hard time receiving the mercy of God because we really have very little trust in God's forgiveness." This is one of the greatest lessons in this book. Again Father Philippe declares: "We don't really believe in this reality of the forgiveness of God, and so we don't always fully welcome it. God forgives us, but we can't forgive ourselves." He reiterates this thought a number of times through the book. Father Philippe also reminds us to accept that we fail but in doing so, to move closer to get through repentance. He says: "Sometimes it's good that we rejoice when we have accomplished great things. But in the moments where we feel our poverty, we should also rejoice, because the good news is for the poor." And from that we are suppose to live in a spirit of thanks. "There is a little secret in the spiritual life: The more the heart gives thanks, the more God gives, even when life isn't perfect, even when we don't have everything we need or want. The more we thank God, the more our heart is open to receive even more of his mercy and his gifts." God does want the best for us. He promises that he has plans for us to restore us. close relationships; we are physically close. We can both support one another and love one another. We can teach our children. The family is a place of great graces; it is the fundamental unit of the Church." And he reminds us that living in community, living in family and loving the world is only achieved through accepting God's help: "I realize how much I need God's help because alone, I am not able to love. I am not able to count on my own strength. I have to count on the grace of God, on the Holy Spirit who comes to aid my weakness." We must rely on the spirit to work in and through us. Speaking on forgiveness Father Philippe reminds us that forgiveness is about both the receiver and the giver; he states: "Forgiveness is not always easy; it is one of the most unselfish acts of love. Forgiveness can also be one of the greatest acts of freedom - the freedom to love even the one who has done you wrong." He goes on to say: "When I forgive someone, it is an act of hope. Through forgiving them, I have hope in the path that this person will take. I have hope for this person's progress, this person's conversion. I believe that this person, too, will meet Christ and his or her heart will be transformed." That is what we receive from God and what we have been commanded to do. Another great reminder is that "We are not free in regards to the past when we have not forgiven. We can't receive the graces of the present moment, all the blessings God wants to give us. We can't receive them because we are attached to our past by this refusal of forgiveness." Again this reiterates how forgiveness is as much for us as it is for the offender. And another is "What sometimes blocks us from receiving mercy from God is our lack of trust, but it is also our lack of humility. We are not poor of heart. We want to save ourselves rather than welcome everything as a gift from God." We must learn to acknowledge and grow in the experience of living in God's mercy. This book was an amazing read. I have already recommended it to a number of friends. With every book by Father Jacques Philippe that I read I find that I grow, I am challenged and I am drawn closer to God. His writing style is engaging and encouraging, it is like getting advice from an uncle or grandfather who only wants the best for you. The quote that hit me most is "Always have trust in God, but with humility and poverty of heart." If we can try and do that we will grow in mercy, for others and for ourselves and that is the key message that Father Philippe is encouraging us to do though this great little volume. This book was an amazing little read. I will likely give away many copies over the next while. And I can say it is one of the best spiritual books I have read this year. A Story about Becoming The-Best-Version-Of-Yourself! Over the past year I have read a number of books by Matthew Kelly. While compiling a list of his books I came across this one. Having three young children at the time of writing this ages 9, 8 and 5 I really wanted to share this book with them. It arrived at work and during lunch I read it through, after that first reading I was even more excited about sharing it with my children. My middle child just completed his first communion and my oldest is altar serving. This book was a great resource for helping them understand many truths. The illustrations are wonderfully done. The lessons flow nicely. First Max has the conversation with his grandfather, and then he shares at school. He has successes and failures. And he resolves that with God's help each day he will work at being better. This book is great at teaching children they have the task of learning to be the best version of themselves. It also teaches children the practice of examination of conscience, at the end of the day evaluating your successes and your failures and committing to doing better tomorrow. 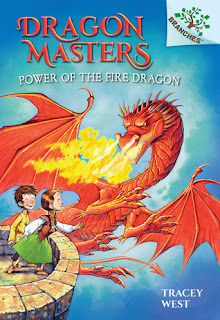 I loved this book so much I am planning on buying one for my children's school library and for my son's classroom. It is an amazing little read and I highly recommend it. If you are already a fan of Matthew Kelly's writings and have young children in your life you will know the message and appreciate it. 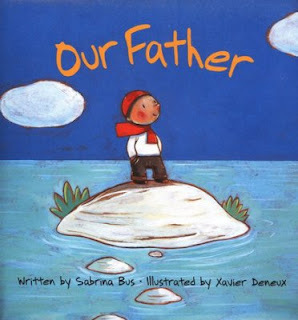 If you are not you might find you check out his other writings for yourself after reading this one with your kids. Either way you cannot go wrong with this book! 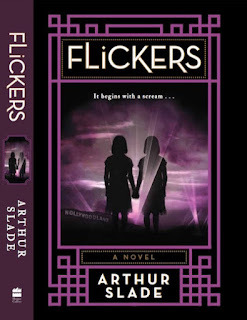 I have read and reviewed almost all of Arthur Slade's books, I fell in love with his writing years ago while working in a book store and look forward to each new read. This one is a departure from some of his more recent works and in many ways a return to his early works. My first thought was 'Chilling read!' as it literally brought Goosebumps to my skin while reading it. In many ways it reads like a more mature and dark tale along the lines of his Northern Frights series. This was a book that was hard to put down. I do not read many books in actually copy these days preferring the electronic version. But receiving an advanced copy of this I started in, and was hooked from the get go. It is a stunning story that spans decades and a continent. 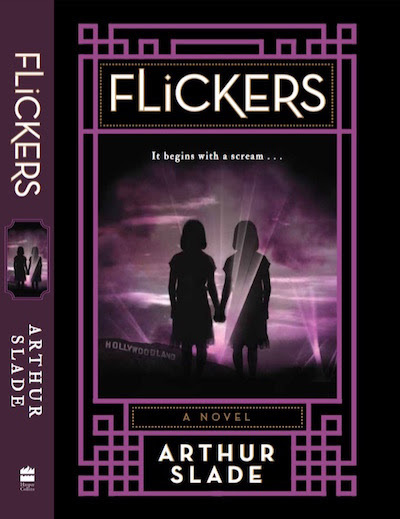 It is described as Gatsby meets the Twilight Zone and it does have that feel. It truly is a page turner. The story begins and ends near Lethbridge Alberta and begins in 1913 and goes until 1939. But most of the story takes place in Hollywood California during the end of the silent films era and the beginning of the modern movie. The story follows two twins, orphaned and being raised by their uncle and aunt who are budding stars themselves. But the key character is their mysterious patron Mr. Cecil. He is creating movies with sound, but also attempting to capture the energy of emotion. Hollywood in the 1920's was a strange place, maybe even stranger then it's modern incarnation is to us. And these children are thrown into roles they do not understand and a master manipulator is working towards ends that no one could imagine. This is a great read. I really could not put it down. My mom saw the review copy and asked to read it after me, and she does not read young adult books but is giving this a read. The twin sisters are great characters. There are some interesting twists and more than a few scares. I read 52 books over the past 3 months and this was the top fiction read. This is an incredible story so give it a try! This is the third book by Sarah A. Reinhard that I have read and the second devotional. And I must say it is a little gem. Of the 6 devotionals I read this lent it was the only one that had daily readings for the octave of Easter. Both this and the companion volume Welcome Baby Jesus: Advent and Christmas Reflections for Families are amazing! The more of Sarah's work I read the more impressed I become. To be honest the kids loved both of these books so much I wish she had a set of them for Ordinary time. The book is designed to help families prepare for Easter by focusing on the three pillars of Lent, prayer, fasting and almsgiving. Each day contains a scripture quote, a reflection, an action for others a suggested fast for the day and then a prayer. Because we read it in the evening the fast and action became a focus for the next day. 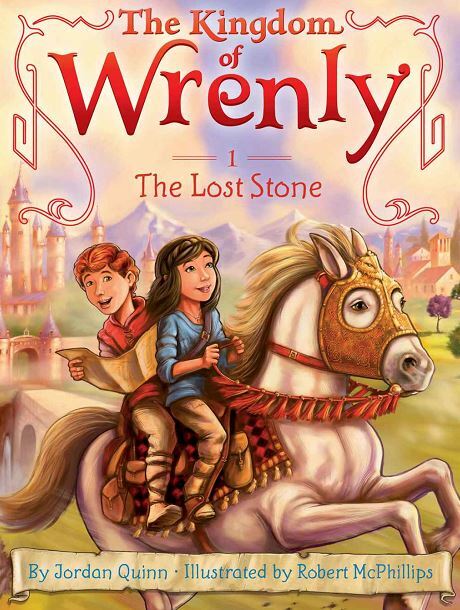 This year my children were ages 9, 8, and 5 over Lent and all three of them loved this book. In fact there were a few nights where we had been out late and I wanted to double up the next day and they always clamoured to do the reading. To the extent that twice we read them from my phone in the car on the way home instead of the ipad before bed. Think: The Samaritan woman couldn't believe Jesus was being kind to her. Not only was he a Jew, but she was probably an outcast, someone no one else liked. Jesus' tells her that God loves her and that he has the authority to share that love with her. "If you knew who I was, you'd be asking ME for a drink." He uses the image of a drink to refer to the "living water" of his saving grace. He could be saying that to any one of us. Imagine him standing in front of you, holding your face in his hands, and telling you what he tells the Samaritan woman. We're told that when we do something kind to the least of those among us-especially the poor and the helpless-we do it to and for Jesus. We often have an opportunity to be nice to people and to share God's love without saying a word. Within our own family, especially, it's easy to forget that truly loving another is important and takes constant work. In our dealings with people other than our family, we should also be aware of how we can be more like Jesus. Is there someone with whom no one plays, a person who's mean to others or who seems lonely or sad? What might you do to extend a kindness to that person? Act: Take a drink to someone today. Fast: Instead of making a mess, clean one up. Pray: Help me to show compassion and kindness to those around me today, Jesus. Jesus answered and said to her, "If you knew the gift of God and who is saying to you, 'Give me a drink,' you would have asked him and he would have given you living water." 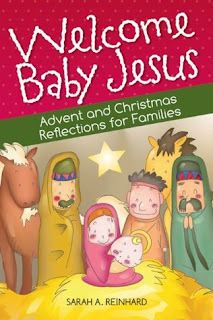 If you are looking for an amazing Lenten devotional for the whole family or children you love this is an excellent choice! This was my first time reading one of the Living Faith devotionals. It was very good. I did this one during my morning coffee at work during the week and at home on the weekends. Interestingly enough I have read a number of the contributors. This one ended up on my recommended reads based on other books I had picked up. I am very thankful that I did. To be honest it is a little simpler format than many of the other lent devotions I have experienced. There is no suggested action or penance each day. Instead you have a verse, a reflection and some reference passages. You can see an example day below. My school-aged sons really enjoy doing science demonstrations and experiments, and so our learning spaces are cluttered with microscopes and other lenses, magnets, iron filings, circuits, crystal-growing substances and much more. Electricity is a favorite area to explore. To see a light bulb powered by nothing more than a lemon, a potato or a solution of some sort is always exciting. We learn that this weird (and still, to me, mysterious) power is nothing we create from nothing- it's in things. It's there, we simply tap into it- and no more darkness. So it is with Communion. We often hear of the need to "create community," but the reality is something different. Our Lord creates community through his life, death and resurrection. As I look around the congregation at Mass tonight, as I contemplate my brothers and sisters around the world, I am amazed and grateful that Jesus has made us one. I don't do it. I can't. It's his sacrificial love binding us in his blood, dwelling within us to bind us as brothers and sisters and powering us when, into a dark world, ite missa est- we are sent. Loving Jesus, help me live out the true, deep communion of the cross and the Eucharist. It was a wonderful book and I look forward to trying it again or the advent one. 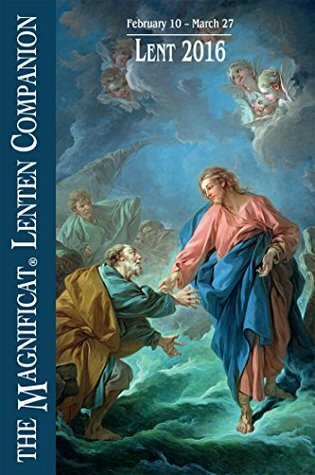 Magnificat Lenten Companion 2016 - Ed. Father Peter John Cameron, O.P. Ed. Father Peter John Cameron, O.P. This was one of the Lenten devotionals I used this year. I have used the Magnificat over the last for seasons of lent and every time have found it extremely beneficial. The meditations are wonderful. There is a wide range of contributors from clergy, religious and the laity. There is also a great 12 pages of prayers at the end of the Lenten devotions. It also contains the full devotion of the stations of the cross as part of the Good Friday readings. Father Ambrose Mary Little, O.P. Some years ago, my brother-in-law died in a plane crash. My nephew, another passenger and just thirteen at the time, survived but was stranded on the side of a mountain overnight awaiting rescue, all the while there with his father's body. Understandably, the night was torturous. Since then, my nephew has had numerous surgeries to repair various injuries sustained in the crash. For one of the last, my sister requested to be with her son immediately on entering recovery. She told my parents, "Sometimes, when he's coming out of anesthesia, he relives the crash. He wakes up crying, saying, 'Dad, please don't be dead!'" In private, my parents went to work. They began offering up their time in adoration for my nephew, specifically that he would wake up from this surgery thinking of something happy, maybe even wake up laughing and singing. Like the father in today's Gospel, their faith in a healing God was strong. They knew they only needed to ask with fervor and faith- and then believe what Jesus said. The father begged Jesus, Sir, come… before my child dies, and Jesus replied, Your son will live. At that very moment the boy was healed. The doctor's first words to my sister after surgery: "Boy, your son is a happy kid. He's coming out of surgery laughing and singing." Father ever faithful, strengthen me, that my prayers may be uttered in confidence, heard in heaven, and answered in generous detail to echo the glory of your faithfulness. 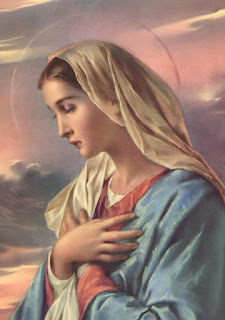 Today's suggested penance: Pray the rosary with the intention to renew your Marian devotion. If you are in doubt about what to read next lent or event advent you cannot go wrong with the Magnificat Companion! This is the second volume by Taylor R. Marshall that I have read. I have also since attended two of his live webinars. I can highly recommend this book. Taylor really knows how to pack a lot of information into 50 pages. 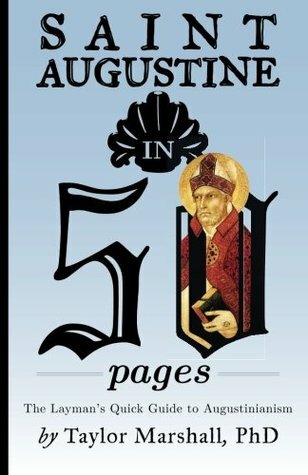 This book follows his immensely popular Thomas Aquinas in 50 Pages: The Layman's Quick Guide to Thomism. Even though almost 900 years separated the two authors these in 50 pages books links them, their works and give good reasons for us to be studying them and going deeper. Marshall writes in a very engaging and easy to read style. To be honest I hit the end of the book and was surprised even knowing it was a short volume when I began. He presents the material in such a way that it does not seem like many academic writers, and as such is quickly becoming a favourite writer of mine. Taylor states of Augustine that: "Augustine was great at writing and disputation. He kept the quill in his hand. His books and sermons reveal a man gifted for infusing heartfelt passion into theology so as to make it practical." And to be honest that is what Taylor himself is doing. This book can be a reminder for those of us who finished formal studies years ago, for the younger reader as a primer for a high school or first year university course. Or for anyone who wants to dip their toes in the pool of knowledge but be warned once you get the toes wet especially with an author like Taylor you will likely dive in. This was a wonderful little read. And I do plan on going on and very soon reading more from Taylor R. Marshall. I can recommend this book and believe that it will spark a hunger and thirst for more knowledge. Give it a go you have nothing to lose and maybe a whole lot to gain. Well done Mr. Marshall well done. You know a series of books is good when the kids ask almost every day when the next one is coming out. That is what has happened to us and this series. 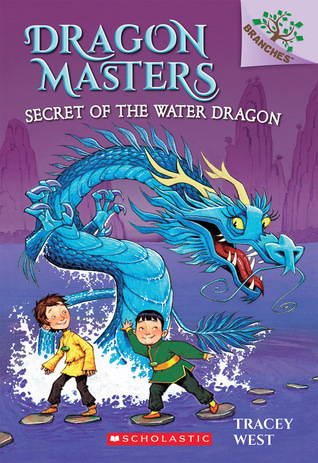 After finishing this 4th book in the Dragon Masters series, every day for 2 weeks now they are asking and we have about three weeks to go. But back to this volume. As mentioned this is the 4 book in a series. 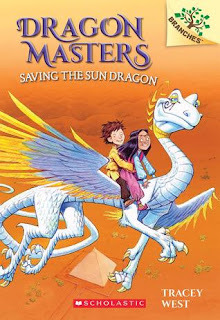 The Dragon Masters are young children who the dragon stone indicates will be able to establish a connection with a dragon. King Roland appears while the children and their Dragons are training. He has plans to King Roland wants to take his Dragons and show them to Queen Rose of the Kingdom of Arkwood. But during the demonstrations things go awry. The king gets mad and decides that Drake and Worm, and Rori and Vulcan must stay behind. The wizard Griffith will need to travel so his friend Diego will come stay with those left behind. Soon the castle is under attack, Maldred and he has his own dragon who has 4 heads. A battle ensues and Drake and Rori are desperate for back up. But to find out what happens you will need to read the book. Again the illustrations by Graham Howells are awesome. My three children ages 5-9 love going over them again and again to see the details. Every page has embellishments to enhance the look and feel of the book. Wonderful illustrations and a great story combine for a winning combination. This is a great little series. From my youngest to my oldest who can read them to us the whole family enjoys these books. We cannot wait for the 5th book to come out and desperately hope there will be more after that. The characters are fun to watch as they grow into a team and learn to work together and with their dragons. 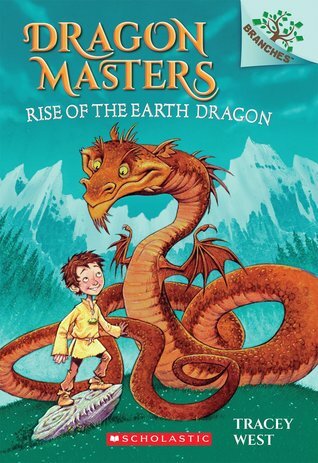 The dragons have surprises that always add for interesting twists. And the kids just love them. What more could you want. These are books that after we finished them the kids asked to read them again, which now that we are on chapter books does not happen as often. That is the best praise we can give them. These are great books for kids and those who read with and to them!